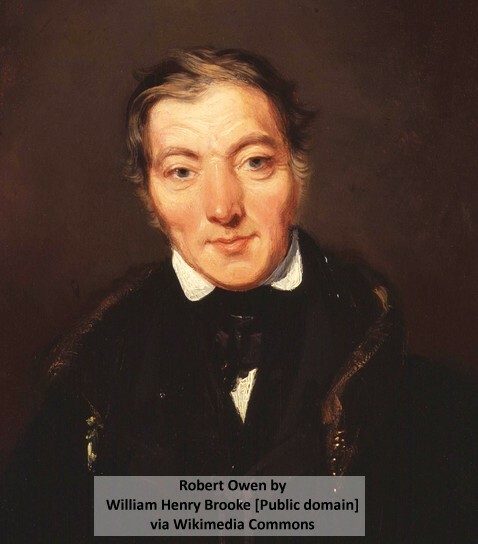 What Robert Owen did not foresee is the increased demand for the “comforts of life”. This increased demand has generated extra production and extra jobs. In modern terms economic growth has created jobs. The inputs to production can be divided into labour and capital. Capital is made up of capital assets. Examples of these are: land and building, plant and machinery, motorcar, furniture, jewellery, patents, shares, &etc. The income from production is divided between capital and labour. Over recent decades the trend has been for labour’s share of income to fall. Karabarbounis and Neiman from the University of Chicago, say that between 1975 and 2012, “Efficiency gains …. induced firms to shift away from labor and toward capital to such a large extent that the labor share of income declined”. As labour’s share declines the share of income of capital assets increases. In Is Green Growth a Fantasy?, I argued that to avoid dangerous climate change it is necessary to reduce world consumption and production. This also means there is no economic growth to replace the jobs lost to industrialisation. Low carbon, green industries can create jobs but not at a sufficient rate to keep production rising and avoid dangerous climate change. If the share of income paid to labour falls – at the same time that consumption falls – then the lowest paid workers will not have much impact on the climate: They will be too poor to pollute. They will not be able to fly in planes, buy and drive cars, eat beef or live in brick houses. The owners of capital assets are likely to be less affected, although the value of some of these may reduce: For example, if fossil fuels are phased out the owners of fossil fuel assets may lose out. However, owners of capital assets are more likely to be affluent and they do cause the most pollution – because they can afford polluting lifestyles. For dangerous climate change to be avoided, it is the consumption of the affluent that must be curbed but without a change in the way wealth is shared, it may be the low paid workers that pay the highest price. The problem just got worse.